On February 9 the Bagshot Cricket club is celebrating 10 years since our return to Bagshot. To make the day even bigger and better the club will also be making this our Sponsors Day, to thank those who have helped the club! 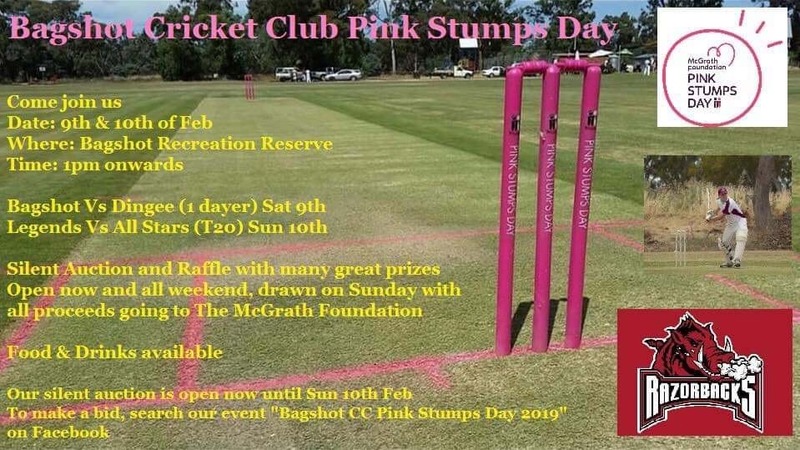 And just to put the cherry on the cake the club will be again participating in pink stumps day, something Bagshot has been proud to be apart of for a number of years.